Every company should be prepared to face problems. The important thing is to not expect them to happen and then react. The ideal thing is to think ahead and make plans that contribute to fixing the damage before it happens so that the damage to your business is minimal, even after a serious incident. Here is the second part of a two-part series with tips on how you can respond when things go wrong in your company. · Be Ready To Respond: You should already have your emergency action plan (EAP) written by now, so at this point you want to make sure that your staff know about it. It is important that each one knows what is expected of one another when an emergency pops up. It doesn’t matter how big or how small the emergency is. In fact, it is vital that you do “test runs” every month to keep them fresh on emergency procedures. You should keep in mind that no plan is ever perfect until you put it to the test. o Will you need another location? o Are you able to obtain replacement equipment? o Do you have someone to clean up the business? o Is it possible to recover any lost data on time clocks or other instruments? o Can your staff get to work? o Will your workers be able to reach you? o Can your suppliers still get you the goods on a regular basis? No business is ever safe, especially a small business. In today’s economy, a business can go under in a heartbeat and not always because of financial woes. For instance, employees could be injured, important information may be lost due to computer errors, or even a natural disaster can destroy your factory, office, or working space. · List all the risks or threats your business can face. · Determine how vulnerable your business is to these threats. · Start prioritizing the threats. · Write a clear written policy of your company’s chain of command. · List the people who are responsible for assessing risks to property and people. · Include instructions on how to shut down any equipment you may have. · Record facility evacuation procedures. · Include forms needed or procedures required to report any emergency. With some forethought, you and your business can be ready for any number of incidents or accidents. While it is impossible to prepare for anything, having emergency protocol set can help deal with the unplanned incidents as well. As a manager or leader in your business, you will find yourself delegating out work at some point or another. While proper delegation makes for a well-run and productive team, improper delegation of tasks can side rail and entire project. There are a few tricks that all managers can use to help make sure that tasks are proportioned out fairly, that hours on the time clock are met, and that work is set out in a way that encourages work instead of inhibits. To reduce the risk of problems when delegating work, start by issuing smaller, easier tasks first. This limits the damage that can be caused in case someone fails. This also will help build the self-esteem of the person who took that responsibility if they succeed. You should never limit yourself to just explaining what they should do either. When people realize how their work fits in the process, they can react better when things go wrong or when you are not present. Having a chance to innovate can sometimes bring out the best in employees. 1. Choose things that you can delegate “up”. This means picking things that are simple enough that you can pass off to an assistant like checking emails, picking up dry cleaning and so on. 2. Choose things that you can delegate “down”. These are the items that you want professionals handling. For instance, you will want to hire an accountant or bookkeeper to do the numbers. 3. Provide crystal clear instructions. Being able to delegate successfully starts with getting through to your people clearly. If someone doesn’t understand something, make sure they do by talking things over. 4. Empower the staff. Give your employees enough responsibility to make them feel special. It goes a long way. 5. Letting go. Some people can do tasks better than you can. Let go and let those with the strengths in that task do said step. 6. Invest in long-term success. Choose employees that will stick around for a long time but make sure they are worth having around as well. Do not forget the reality of the learning curve: the first task delegated does not always run optimally. Do not be tempted to take the matter into your own hands. Give your employees a chance and teach them where they went wrong. You will often be surprised at the improvement rate that shows. Every business is looking for a way to become more efficient while using less manpower. Each CEO wants to spend less money on manpower while increasing productivity. If you are in one of these situations, where the boss is making you take on more work in less time then you may want to continue reading. 1. Finding out which system works best. You should start out your week by writing down everything you should do that week followed by a daily calendar. 2. Take back your calendar and what’s left of your life. Make sure you live with a purpose and ensure that technology is your slave, not letting technology enslave you. Be sure to remember that “neat” is not the same thing as “organized”. 3. Project planning. Having the right software for planning projects is ideal. Microsoft Outlook is perfect for planning. You should also learn how to micromanage. 4. Learn how to manage interruptions. This step will save you plenty of time. You will be interrupted every single day but how you react to it will define you as a time-saver. 5. Get your calendar back. Taming a calendar is hard work, but it can be done. The first step is keeping the most important objectives first. 6. 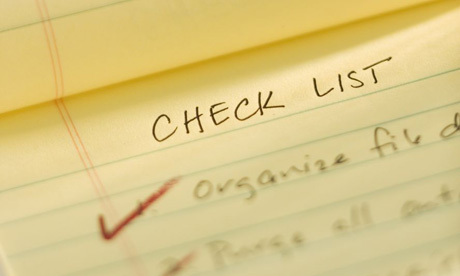 Delegate a “must do” list. Every person will have things that they must do so keep these things separate so you do not forget them. Sometimes you will not be able to get around to the task and therefore you must choose someone else to do the work. 7. Perform productive meetings. Meetings are important parts to a business. It all starts with people getting to work on time. Ensure that your time clock is up-to-date. 8. Manage your projects, not the time. Know what is due and what can be put off in favor of something that is more critical. 9. Create meeting templates. That way you know what to say and in what order, reducing time spent in the meeting. Your position as an owner or a manager doesn’t mean that you have to be hard on your employees all the time. You can be a listener when you need to be and caring when you have to be. Improving your manner and method of communication can help your business culture improve as well as give your employees the motivation to show up in the morning. Look at the tips to help you communicate better with your staff so that productivity and efficiency are maintained and/or improved. 1. Take Your Time When Building Relationships. Besides looking at job obligations, giving staff feedback and speaking about attendance concerns, a significant component of your function is to find out things about your staff. Once you understand your current employees’ individual performance styles, tastes and desires, you will gain their trust. 2. Be A Great Listener. Very good communication is something that both parties must learn. Once you initiate interactions with staff, greet these individuals personally and listen closely and sincerely. Know about the other person’s gestures and vocal tones. 3. Give Effective Feedback. Make sure your employees know that they are invaluable assets. 4. Diversity. Your workplace comprises of folks from widely different backgrounds who add up to achieve a common goal. Understand that they are all there to get treated as individuals although they also want to be judged independently. 5. Personal Issues Do Arise. Every employee is going to have problems at home or away from work. Punching a time clock on time will not be as easy as everyone believes issues bring an individual down. Make sure you cut your employees some slack from time to time. 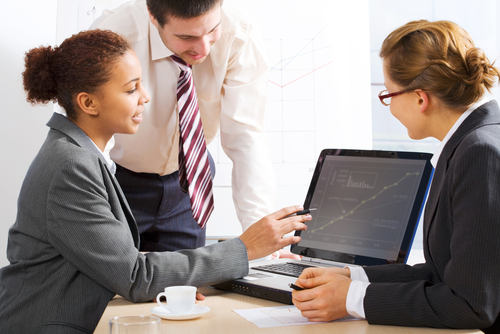 Payroll management involves more than monitoring the time clock. Nowadays, the payroll function is as complicated as ever, especially with federal government oversight of corporate accounting practices, several different types of automatic deductions, and international staffing. In such an environment, payroll calculations are usually automated, though some smaller companies still use a manual system to compute paychecks and hours worked. However, even in the case of entities with fewer than 50 workers, automated time clock systems are very common. The best way to make certain that there are no major errors in payroll checks is to use a reliable and consistent method of calculating all check amounts. Whether your company uses electronic time clock systems or online time loggers, be attentive to keeping accurate records of hours worked for each employee. Some modern time clocks do a variety of calculations that were unheard of just two or three decades ago. And some old systems still work, despite their age. A punch card system works well for organizations that have fewer than 50 workers. For large firms, time loggers work well. In these computer-based systems, workers check in via their computer terminals. In some cases, computer-timing programs use a magnetic terminal for swipe cards. Large companies are especially susceptible to time fraud due to the impersonal nature of the systems and vulnerability to hacking. Some of the higher-end programs contain subtle but effective safeguards against such activity. Whether large or small, every business should keep a separate bank account for payroll funds. In fact, a patchwork of federal and state laws require certain types of entities to maintain separate accounts for payroll purposes. Aside from the purposes of the law, it is a wise practice to label a bank account specifically for payroll. When tax time comes, companies who have accurate records and segregated accounts will be in a better position to prepare accurate tax returns quickly and simply. When it comes down to it, a time clock is the basis for vital payroll calculations, pure and simple. The IRS has several rules and regulations when it comes to governing payroll. Your mission, whether you are a business owner or payroll manager, is to avoid running into problems with the IRS. Avoiding an audit is a goal for anyone, and can be done partially by not making mistakes with payroll. 10. Excluding Travel and Commuting Expense Reimbursements from Employees' Income. Avoiding these mistakes can be as easy as investing in a new time clock or even hiring outside payroll management. Either way, it is always in your best interest (and your employees’ interest) to have an efficient, effective payroll system in place. If you share workspace with others, there are quite a few written, and unwritten, rules you should know. Of course, not all common work areas are the same, but in general, it is best that you try to be self-sufficient. A time clock might be at the entrance and perhaps you need to punch in or just use it for specific jobs. Know the rules about the time clock and who should use it. It also helps to know how much talking and chatting is tolerated. Some workspaces are silent, but most allow at least a moderate hum. Try to learn the upper limits of noise and adhere to the common rule. Keep in mind that you should not bother others with questions that pertain to your own work. If you are self-sufficient, moderately quiet, and know about time clock rules, a common work area can be your friend. The secret to getting along in common work areas has to do with friendliness. Try to stay in the social network and do not abuse the allotted time for work in the area. Often, shared workspace is used for events in the evenings, so you need to know when to make a timely exit. A visible time clock can help with this detail. Networking with the other employees and respecting the space usage policy are two habits that will make you a good neighbor to your comrades. Finally, remember that the kitchen area is for your use, but the food is not. Unless a food item is specifically marked as a group item, do not touch it. Bring your own food and eat it in the kitchen. If others do the same, everybody will be happy and there will be no bad feelings about ‘stolen’ meals. The time clock has become a very important tool in the business. Time clocks can not only help monitor work places but can also establish a clear vision of the working time in the company. A punch clock has many benefits for all parts of an enterprise, as well as for management employees. Punch clocks help record time in and out by employees and workers. Not only are these time cards used for payroll, but they can also be used to help monitor how much time is spent on specific projects as well as on working schedules of specific departments. In addition, punch time clocks can help provide a clearer image of what the bottom line of the company is, and is not, completing. More modern time clocks offer other features. Building security, including management of time management, secure entry and management of movements in different spaces are just a couple of things that a time clock can do for a small business. User management with access controls for visitors whether they are customers or suppliers and parking management. A time clock can intervene to control access or entry point in a building to identify, authenticate, authorize or prohibit the attendance areas for which it is programmed. 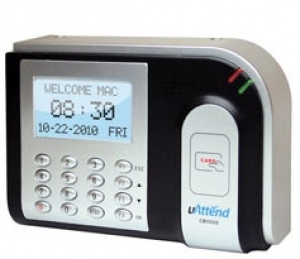 The advantage of the time clock for various stakeholders of the company, department heads, and administrators lies in the ability of terminals to record and make available comprehensive information. Information from the time clock is pulled off as easy as it is put on. Employees will time stamp their hours simply by “clocking in”. Payroll will then break down the hours and then count log the time they clocked in and clocked out, totaling the hours up and then cutting a check. In the end, while a punch time clock is not for everyone, there are numerous other options on the market that offer a variety of features. Do your homework and decide whether a punch clock is for your or if a different model would better suit your needs. Implementing a time clock system for your company involves a bit of thought. Depending how many employees you have, how large your facility is, and what level of security you need, you will want to invest in a time clock system that is just right. There are currently so many different systems on the market you might be confused by the selection. Keep in mind that a simple time clock can meet most of your needs if you use it correctly. Larger, more elaborate systems typically involve computer software that monitors hours worked, employees names, and dozens of other parameters. Be sure to put the time clock in a place where every worker will see it. This is crucial. If you put the device in an out-of-the-way location, you risk losing valuable data, as some workers will not see the clock and will begin work without logging in. It is wise to put a large, company bulletin board near the time clock in order to make it a gathering place for your personnel. When the clock is in an open location, which gets a lot of traffic, there is less chance for fraudulent behavior. Perhaps the most vital aspect of time clock management is making sure that every employee knows how to operate the device. Most companies hold training sessions when a new clock system is purchased. After that, try to make time clock training a standard part of each new hire’s orientation. 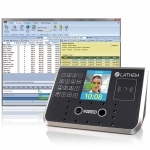 Some of the newer, biometric time systems are quite expensive, but are perfect for organizations that need high security. 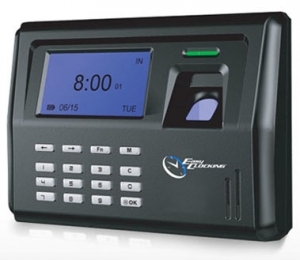 A biometric time clock uses fingerprints, iris scans, or other physical characteristics to track employee access to the building and to log the proper number of hours worked. Usually, the more expensive the time clock, the less chance there is for fraud. As a business owner, you are probably constantly looking for ways to increase profits and increase business. At one point in time, you have most likely thought of cutting expenses to help boost profitability. Technically, it doesn’t matter if you’re having the best quarter in history because when it comes down to it, costs that are out-of-control will quickly eat up any profits that you gain. 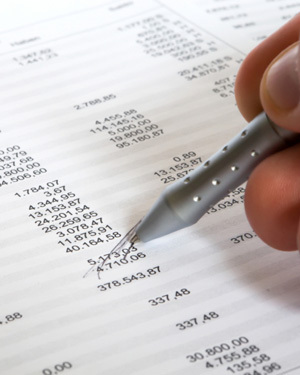 Avoid going under by keeping a close eye on your expenses (you can use a business accounting tool). While cutting expenses can help greatly, be smart about what you cut. You don’t want to sacrifice efficiency for cost. Try out a new telecom system. This can range from Internet to landlines to wireless providers. Enforce the “no splurge” business travel rule. This technically means that your staff cannot spend whatever they want when they travel. Make them accountable for what they spend. Move your IT network to the “Cloud”. Whenever you have the chance to move digital files and other software off your computer to another place- do it. Cut back on overtime. Switching from a time clock that uses paper to a computerized time clock is a great move. It saves you money on multiple fronts. Earning vendor discounts using credit is smart. Early payment discounts offer by a selection of vendors can save you thousands of dollars a year. Cutting your expenses should only mean one thing: you gain more profit. By viewing these areas, you will hopefully be able to maximize your profits without losing efficiency. A traditional timesheet allows a company’s employees to record exactly when they start and end work. For a number of employees, this will amount to starting their work at the beginning of their shift and punching out whenever it ends. For the others, this could involve keeping a detailed list of start and stop times for their various projects, activities or jobs during the day. No matter what your business may need, time clock software will allow your employees the ability to record information more easily, objectively and actively. Time clock software will help lower any operating costs that your business may have by making your payroll processing become more efficient along with making labor costs a lot more visible than they were in the past. It will also ensure attendance compliance and helps automate any invoicing or billing of your clients. Here are a few reasons how time clock software will help your business in today’s rough economy. Time clock software will take every punch that your employees have accrued within a certain amount of time and it will generate timecards based on whatever your payroll is set on. Your regular hours, paid leave and overtime are all calculated for you and totaled instantly so you don’t have to do the math yourself. A time clock is going to allow you to fully manage your attendance and employee time, even when it comes to lunch breaks or sick leave. With certain units, employees cannot punch in or out for each other, ensuring that the hours recorded are honest. Whenever you do payroll, your time clock software will figure in everything for you when it calculates the weekly attendance. Whenever you input your employees into the system, you will be asked to put all pertinent information into the software. This will allow the software to figure up everything for you. All you have to do is print out everything and take it to payroll, or even export to payroll software directly. Remember that client billing should be summarized by the job or the client so it can be accurately billed. A time clock can help with this process, lowering error by inaccurate recording as well as providing an efficient way to track multiple projects. Almost 30 million American workers can do part of their work from their home or remote locations, according to a recent survey performed by the people at International Telework Association. With 1 in 5 workers telecommuting, getting everyone to punch in on the time clock, together for a meeting, or to check-in can be difficut. Fortunately, the employee time clock is one way that you can keep track of telecommuters. 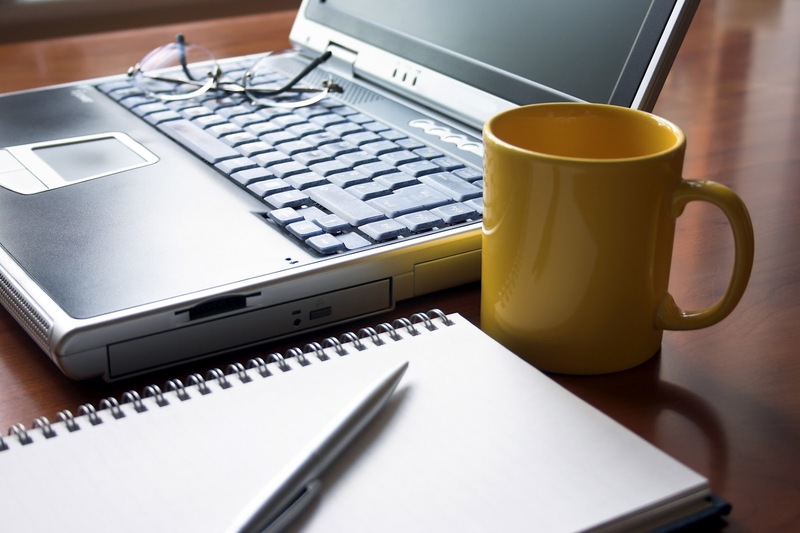 Managing telecommuting technology is tough, but managing the workers can be even tougher. Telework has a habit of amplifying organizational weaknesses and if the company is already weak in the terms of management, then the policy needs to be updated before the teleworking begins. Teleworking can force a manager to sharpen simple managerial skills, not only to streamline the work force but also to make sure the job gets done when it needs to be. Implement a great employee time clock system – A solid web-based, employee time clock will help you keep track of your employees, remotely and in-office. Identify some tasks that are suitable telecommuting - List positions that aren’t good for telecommuting first, as this will be much easier. Then examine what’s left and decide if telecommuting is viable. Establish ground rules - Make sure every employee is on the same page. Set rules for telecommuters in terms of what needs to be done. Be prepared to enforce the rules - If a decision comes up to where you need to make a tough call, make sure you can do it. Practice effective management - Calling regular meetings is a must. Be sure your telecommuters are aware that just because they are not in the office doesn’t mean they are exempt from team meetings. Provide effective support - Always support your workers. Just as they reach out to you, reach out to them as well. For many, running an office can become a time exhausting affair. Not only is work management a factor, but also human resources and payroll. Many small business owners can find themselves overwhelmed quickly when the office grows, particularly when it comes to keeping accurate payroll. There are several new pieces of technology that can help an office run smoothly, however, and that can help lessen the anxiety that can come with managing staff. One innovation that can help keep the office efficient and functional is an employee time clock. Time clocks not only help keep the workforce on track, but can also record time worked and even time off with more accuracy than hand entry can afford. A time clock is easy to operate and often just as easy to put in. For many business owners, this automated system is just what they need to help their business run efficiently and smoothly. 1. Minimize Human Errors - These types of tracking systems actually ensure the elimination of errors (at least the human ones) while recording work hours. Studies show that there is a 99% accuracy rate. 2. Checks and Balances are Infallible - Simply put, with the system’s biometric features the software is impossible to evade. 3. Productivity and Efficiency - There is an increase across the board in both these areas. 4. Value Added to the Company - With the addition of the system, you are adding a serious money-saving addition to your business. 5. 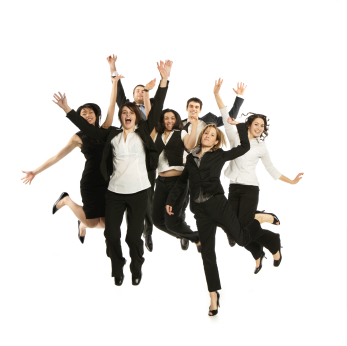 Employees are Happier - With fewer errors in recording, your employee will be much happier with you. 6. Efficient Processing for Payroll - Everyone likes getting paid on time and this system allows you to do just that. There are numerous advantages to adding a time clock to the office. Be sure to find a unit that works for you and your business, so that you can take advantage of the technology that is out there. When an employer looks at their bottom line, they almost always see that payroll eats the biggest chunk of the money. It is the biggest expense business owners face. Add to that, whether white or blue collar, employees have long been involved in payroll fraud. Fortunately, the implementation of fingerprint time clocks can help steer away from fraud. Fingerprint time clocks capture the unique fingerprint of each employee for use when he or she comes to work every day, whether on site or off site. Removing theft of time from the equation may help employers get a handle on payroll costs, as well as curtail time theft. With this new technology, employees will no longer be able to punch the time card of a co-worker, reducing time theft. A time clock will also eliminate the time consuming task for the human resources department of having to manually calculate payroll. Additionally, there is no storage space needed like there is if you have to store time cards for tax record purposes. To set an employee up in the fingerprint scanning system, an employer need only have the employee put his or her finger on the scanner and his or her unique fingerprint is scanned. The fingerprint scanners are easy to use and are portable and easily tied into a company’s computer system. Streamlining the preparation of payroll, as well as taking the idea of employee theft of hours out of the equation of running a business, allows employers and their employees to focus on the job at hand – running the business. Electronic payroll systems integrate well with fingerprint time clock and can help streamline a business to an even finer degree. There’s no doubt that employee time management is a critical component of any workplace’s productivity and efficiency. Employee time clocks can be a valuable resource and vehicle when managing employee’s times and making sure those employees are spending their time wisely. Time clocks help businesses accurately store and track employee time data. Using this data, management can assess whether or not the company is performing as efficiently as possible and if any productivity issues are present in the workplace. An employee time clock will not work up to its potential if it is not implemented correctly. All employees, not just management, should be familiar with the time clock system and how it works. Your employees will be the ones, after all, using the time clocks to punch in and out and to track payroll and time data. After selecting and purchasing a time clock system for your workplace, arrange an orientation session for your employees. Consider asking a representative from the time clock company from which you purchased the product to help you with the session. Take time to make sure that all employees understand the details and capabilities associated with the time clock system and answer all questions. Consider distributing users manuals or cheat sheets that detail how to use the time system. To correctly implement a time clock system, make sure that system can grow with your business. Limited scalability systems will not accommodate company expansion and growth, so go with a system that can last with your company through such changes. Keeping your company’s information and client information guarded, as well as your employees safe, are all part of office security. Office theft can lead to the loss of client information, personal employee information, and valuable office possessions. It’s absolutely vital that a workplace has a high level of office security. There are several steps a workplace can take to increase its level of office security, safeguard its employees, protect its possessions, and keep company and client information safe. Most office crimes take place in workplaces that have little or no security measures in place. As a first step in increasing office security, consider hiring a security professional to do a full security assessment. A complete, professional assessment includes your office’s current security measures and potential weak points. Once the assessment is completed, a workplace should follow up on its recommendations and consult with local law enforcement accordingly. · Installing key card access and security cameras around exterior areas. · Creating a security system for accessing computer systems and online data. · Securing and locking important paperwork and data. · Keeping employees informed on what to do in the event of an emergency. · Install a fingerprint time clock. · Arranging office spaces so that unwelcome visitors are easily spotted. · Instituting a company badge policy so employees are easily identified. When an employer looks at their bottom line, they almost always sees that payroll eats the biggest chunk of the money. It is the biggest expense business owners face. Add to that, the idea that whether white or blue collar, employees have long been involved in payroll fraud. To steer away from this, the implementation of fingerprint time clocks can help. Fingerprint time clocks capture the unique fingerprint of each employee for use when he or she comes to work every day. 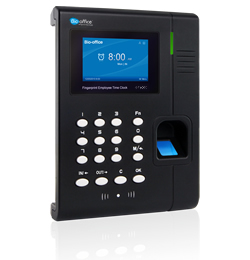 A fingerprint time clock can be used with employees that work either on site or off site. Removing theft of time from the equation may help employers get a handle on payroll costs. With this new technology, employees will no longer be able to punch the time card of a co worker and it also eliminates the time consuming task for the human resources department of having to manually calculate payroll. Additionally, there is no storage space needed like there is if you have to store time cards for tax record purposes. To set an employee up in the fingerprint time clock system, an employer need only have the employee put his or her finger on the scanner and their unique fingerprint is scanned. The fingerprint scanners are easy to use and are portable and easily tied into a company’s computer system. Streamlining the preparation of payroll as well as taking the idea of employee theft of hours out of the equation of running a business, employers and their employees can focus on the job at hand – running the business. 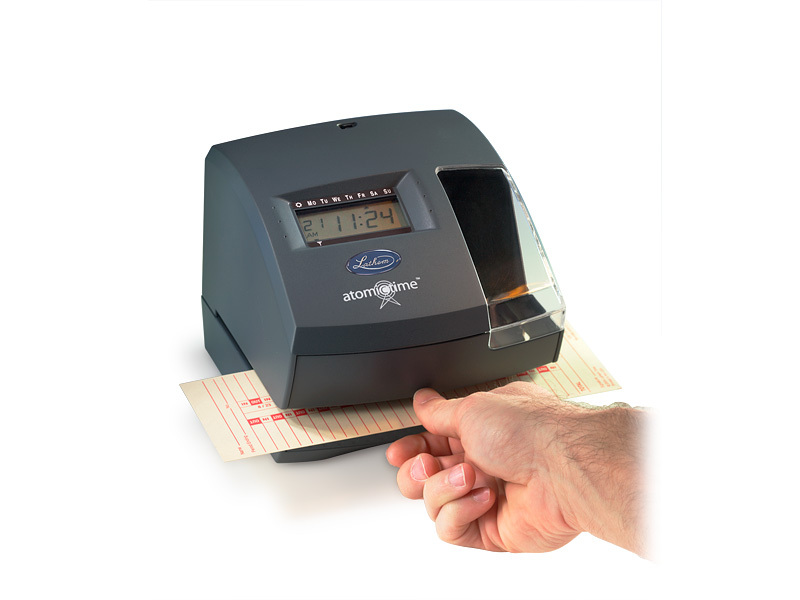 Electronic payroll systems integrate well with fingerprint scanners. After hours of work submitting resumes and covers letters, you finally are invited in for the interview! Yet for many the interview is one of the most nerve wrecking parts of any job search. You want to make a good impression and may arrive early in your best suit to make a good impression. Remember, however, that etiquette in interviews goes a long way to impressing an employer. There are some things you should remember to do the next time you head into an interview for your dream job. 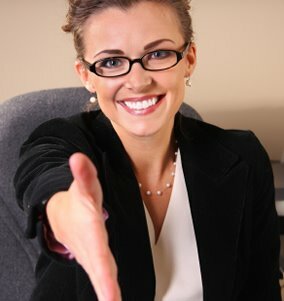 Here are a few tips that may be helpful in the interview process. Listen carefully to what the interviewer is saying and ask plenty of questions. The interviewer first presents the problem. Take time to organize your thoughts, ask clarifying questions and then explain to the interviewer your thoughts. 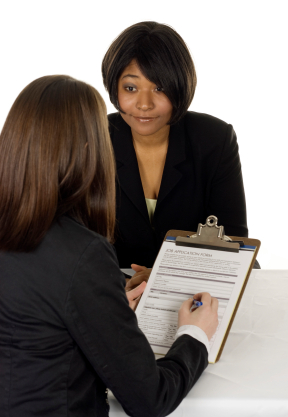 The interviewer will give you important information and help so be sure you listen! Structure the problem and then work out a plan to solve it. 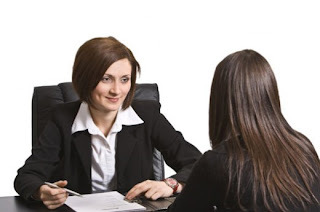 Often interviewers will give a scenario and ask how you’d handle it. Think for a moment about the case. Place for a structure and a concept firmly in order to clarify each step and determine which analysis you want to do in order to arrive at a solution. Take time to organize your thoughts and avoid jumping to conclusions. Focus on the issues that really matter and give reasons for your decisions. Be able to clarify your reasoning clearly. Generate hypothesis and then examine possible options. Make suggestions and then do the calculations of these major problems when solving them. The interviewer looks to the same things as any client: innovative approaches that can be changed by the company’s rules and thus creating a sustainable and competitive advantage. Summarize your thoughts together and draw conclusions from your analysis. Sum up your key points at the end of the interview and the hypotheses developed by your options and make the final push to show that you are the best option for the company. Show why you want to, and should be, punching into the company time clock every day. You want to ensure that the business does not think about any other prospective employee except for you after you leave and following these simple steps is a great way to start. Hiring is the most important function for any business, and if it is not done correctly your firm could end up wasting thousands of dollars and valuable time. People who punch a time clock make the company work, so it is worth your time as a manager to avoid the most common errors that plague the personnel process. Time clocks are great for measuring hours worked, but when it comes to hiring, it is quite difficult to measure human qualities that match a specific job opening. Quality is not as clear-cut as quantity. These days, nearly every company uses its website to screen job seekers. Be careful not to overdo the use of the internet, as you might just end up with too many candidates. If you are not set up to interview dozens of people for a given position, then go easy on the recruitment efforts, especially online. Too many personnel managers overestimate the ability of the internet to bring in job seekers. So be careful what you wish for, as the old saying goes. Many studies have pointed to the fact that well over 70 percent of all managerial hires are found through personal contacts. That’s why it is wise to spend a few days each month keeping up your face-to-face contacts, attending trade shows, and speaking with others in your field of endeavor. Never rely solely on impersonal job forum listings unless you are trying to gather together a large number of candidates for a mass screening. Never, the experts tell us, rely on your gut to make a final decision about a candidate. This can lead to a really disastrous situation, where a hire drains significant resources during a training period, which ultimately goes to waste. Hiring based upon charisma, personality, or looks is an accident waiting to happen. Better to use quantifiable parameters to measure skills, interests, and background experience. In addition, before you bring in that new person, who will eventually be punching the company time clock, have a specialist do some of the interviewing. That way, a person who truly knows what the job requires will get a chance to sit down with the applicant and get a feel for his or her abilities. Time clocks are a great way to measure hours, but sometimes it takes a professional, even a specialist, to ferret out the best job candidates for a particularly demanding position. Avoid the pitfalls of the hiring process, and you will have a healthy company. When it comes to motivating employees, praise is a great way to do just that. Positive reinforcement works much better than negatively pointing out mistakes and it’s been shown that employees respond better to earning perks rather than having items taken away – much as children and your pets do. To have a team that truly performs, rather than one that simply comes in and punches the time clock, you need to foster a positive working environment. Research has shown that organizations will see an increase in employee productivity and even in sales if employees are offered praise and a sense of personal fulfillment. Employee recognition programs are also great motivators when it comes to increasing productivity and job satisfaction. When you’re putting an employee recognition program in place, look for buy in from them and make the program have a specific start and end time. Consider posting results on a board in a central location so that employees can track their progress. Praise and recognition should be offered for truly achievable and measurable results in order to be meaningful. Simply handing out “gold stars” to employees can be de-motivating if the results they are expected to achieve are easy to achieve. Make the results earned worth the recognition received. Your employee recognition programs could be as simple as naming names in the employee company wide newsletter to small gift certificates or a good parking space or even a floating day off. Having a specific goal for employees to reach – whether through an interoffice competition or by reaching specific sales numbers or goals or even having a team with the least amount of employee sick days punched in on the time clock - are items to consider. Choose the goals that make the most sense with your department or organization that will be worthwhile to the employee that receives it. Walking through the office handing out “atta boys” may be the way you handle employee recognition but if you’re not seeing the results you’re hoping for, you might need to change your employee recognition methods. Why not ask your employees for suggestions on what they see as valuable ways of being recognized. Their idea of praise and rewards might be different from yours and would help make the recognition program be something they would strive to achieve. If your organization doesn’t work to single out employees, consider hosting a recognition lunch for a department that achieves results over and above a department in another part of the company. If your company uses a time clock system to record hours worked, you probably already know how prone the system is to error. Because the time clock does just one thing, the data collected from the system is liable to be entered incorrectly, mislabeled, entered twice, listed for the wrong employee, or any number of other mistakes. You get the idea. For their own purposes, time clocks do a great job, but they are very limited in their function. As a result, the mentioned mistakes, along with countless others, are waiting to befall to the manager who does not use time clock software. Rounding errors are the bugaboo of payroll, and have been for over a hundred years. In the old days, this category of mistake was the most common paycheck error, and accounted for many managerial hours spent trying to correct the problem. Whether you are skilled or not with mathematics, rounding takes time, and time clocks cannot do it. Software does the chore automatically and accurately. One of the other common errors in the world of time clock payroll accounting has to do with duplicate entries. If you manually enter data of any kind, you know all too well how this occurs. The reason is human fatigue and inattention. The numerical version of a typographical error, duplicate entry causes a cascade of errors in payroll reports. Because payroll software instantly eliminates this error, you can say goodbye to the nightmares of finding and correcting mysterious duplicate entry errors. The time clock is a wonderful invention, and has allowed small and large businesses to measure something that used to be utterly time consuming and frustrating. By centralizing the chore of recording and stamping total hours on an individual card for every employee, the time clock truly revolutionized the industrial revolution. Today’s time clock software is just as important as that long-ago invention, providing yet another leap ahead in the world of business technology.